There are many reasons why people get massages There are some who get a massage regularly as a means of relaxation. There some who get a massage as a way to help treat an injury or a medical condition. There are a few types of massage and each one will do something different to your body. A Swedish massage is a technique that will relax the whole body. During a Swedish massage, the therapist will use long, gliding strokes while rubbing the body. They will use strokes that follow the direction of the blood returning to the heart. There are several ways that a Swedish massage can help. First, it increases the oxygen level in the blood. Also, it decreases the amount of toxins in the muscles. A Swedish massage will also improve your flexibility and circulation. Finally, it is great at easing tension throughout the entire body. Deep tissues massage is similar to a Swedish massage, however, the therapist uses more pressure during the massage to release muscle tension. During the massage, the therapist will focus more on the deepest layer of the muscles. They also focus on the tendons and the protective layer that surrounds the joints, bones, and muscles, called the fascia. Deep tissue massage has a few benefits. There have been studies that have shown that when a person gets a deep tissue massage for 45 minutes or more can actually cause their blood pressure to decrease. A deep tissue massage can also relieve stress. During the massage, stress hormones are reduced and the heart rate increases. This triggers the release of serotonin and oxytocin, which promotes a deep relaxation. Sports massage is designed for athletes. During a sports massage, the therapist would focus on the areas of the body that are overused. This means the therapist would focus on one area for a runner and a different area for a tennis player. There are some athletes that will get a sports massage in preparation for a big game, match, or event. This is because sports massage reduces early fatigue, promotes flexibility, and it can improve endurance. Finally, getting a sports massage before an important sporting event can prevent injury. Many athletes will also get a sports massage after a major sporting event. This is because the massage will increase the recovery time. Heath care professionals recommend that serious athletes get a sports massage once or twice a week as part of their workout regimen. Regular massage is great for the mind and body. The type of massage that the person gets would depend on what they are hoping to achieve from getting a massage. 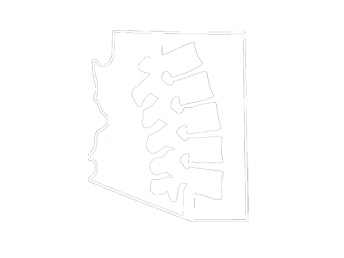 The professional at Arizona Chiropractic & Holistic Health Center offers different types of massage depending on what the client needs. Whether you want to heal your mind or your body or both, you can get the treatment that you need at Chiropractic & Holistic Health Center.